Frustration. Frustration and expectation. That’s what the mood is on the boat at the moment. We have crossed our final ocean, have spotted the shores of Ireland, and are currently running North West back out into the Atlantic to do a circuit around Rockall. At least we have loads of coffee. This is especially useful since many of the RTWs, and Wendo, have hit a wall and are knackered. I think it is simply 10-plus months of high alert catching up on us. Although our heads are still in the game, our bodies have called time and are already half way out of the building. So here we are, struggling upwind to get around Rockall so we can turn around and follow our trail all the way back to Ireland again. Rockall is a sneaky rock which seems to move away from us at every turn and has the annoying habit of being directly upwind of our position, however much we tack. At least the extra leg from Rockall to St. Kilda has now been called off. Apparently the Royal Navy is not inclined to stop their live firing exercises in the area so the Clipper fleet can pass by. Thank the gods for that! 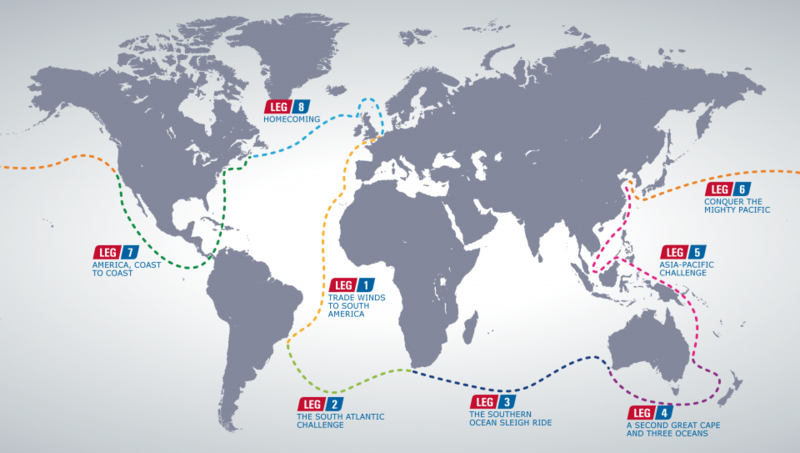 Although this is still the ocean crossing part of this race, seeing our destination and then adding this extra circuit makes this little detour feel like an offshore race rather than an ocean race. In my mind I feel as though I have now crossed my final ocean on this circumnavigation. The total is 3 times across the Atlantic, once across the Southern Indian Ocean, once into the Southern Ocean, and twice around or across the Pacific. We have sailed through the Channel, the Solomon Sea, the South China Sea, the Yellow Sea and the Caribbean. Only the North Sea remains, and one more Channel crossing. It’s quite a tally. And hard to believe that this has actually happened, even though I was there every step of the way! The Stormhoek Social Spirit award voting is open, but only until the first boat crosses the finish line, which is in the morning. Vote for DaNang and they stand a good chance of winning £2,000 for a crew party. Please vote and give a good reason. Thank you, Paul. Craig is on mother again today, with Tony, and is currently making bread in the galley. This may be the last time we see this, and taste the fruits of his labours, which are usually kneaded mercilessly to such a degree that they come out of the oven as mutant loaves, enormous in size but beautifully fluffy in the middle. I have complimented him a couple of times on the size of his bread, but I think the suggestion that he might make a second career as a baker offends his Aussie sense of masculinity somehow! This may be the last time we see this because we have finally worked our way through the huge and heavy bag of bread flour that was bought in Seattle (where the ‘fresh’ bread we bought for the first few days was so full of preservatives that it lasted the entire month in the heat and humidity down to Panama!). The next race will be short enough (and probably cold enough) for us to buy fresh bread only, and I am looking forward to good Irish bread, fresh butter, milk and cheese, lots more veg and fruit and fewer freeze dried meals. There may even be fresh meat (sausages!!!). It’s amazing how simple things like this can make such a difference. It’s especially important given that I completely under-estimated the amount of fresh fruit we would eat during this race, and we finished the apples and oranges within the first week. We have now also run out of lemons, sweet potatoes and, most importantly, cheese (we went through 6kg in a week!). Macaroni cheese is on the menu tomorrow and will be an interesting challenge. Hopefully cream cheese will work instead. At least the tuck still seems to be holding up. Hang on … there just went the last bag of chocolates. This is Val signing off before they all disappear upstairs!